After losing a few fish on streamers while chasing predatory fish, most anglers learn pretty quickly that a “trout set” doesn’t work. 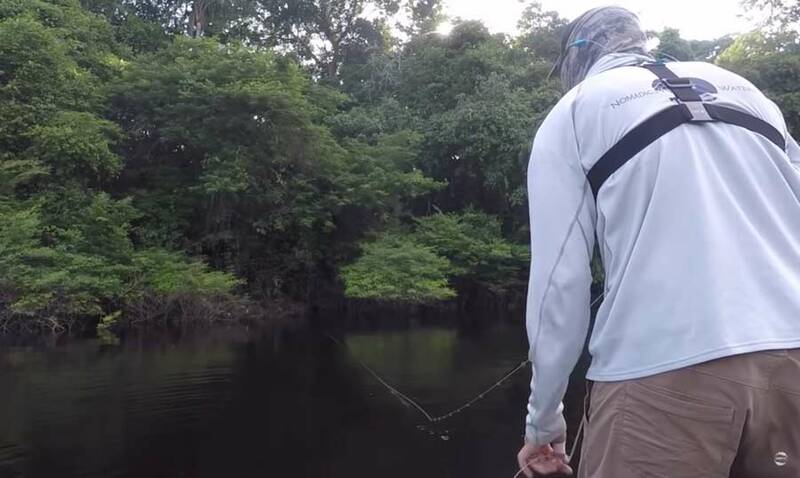 But knowing that you need a strip set is not the same as knowing how to strip set, as Minnesota-based fly tier Gunnar Brammer found on a recent trip to the Amazon. In this video, he explains what he had been doing incorrectly and then demonstrates what good strip-set technique looks like. The key is to strip all the way into the fish, maintaining contact with the line as much as possible. Only after you are firmly connected to the fish do you engage the fly rod in the fight. Brammer’s story is also a good example of how a fly-fishing trip with a guide is not just a chance to catch a lot of fish. It’s also an opportunity to learn new skills and fix well-established bad habits.